Laura Ashley dresses are back in fashion. So I hear. I bought my Laura Ashley labeled dress in the eighties, since then it has lived in my closet hidden away from fashionable eyes. So much life has happened since I first wore that dress. I’ve changed not only in character but also in size…just a few pounds ha ha! The eighties label no longer suits me. I’ve outgrown both style and dress. Funny how we hold onto things from our past not only in clothing labels, but also labels in life that were attached to us by others or assigned by ourselves. Since receiving Christ as our savior those labels no longer fit. Yet, we tend to hold onto to them afraid to let go, wearing them hidden from discerning eyes. 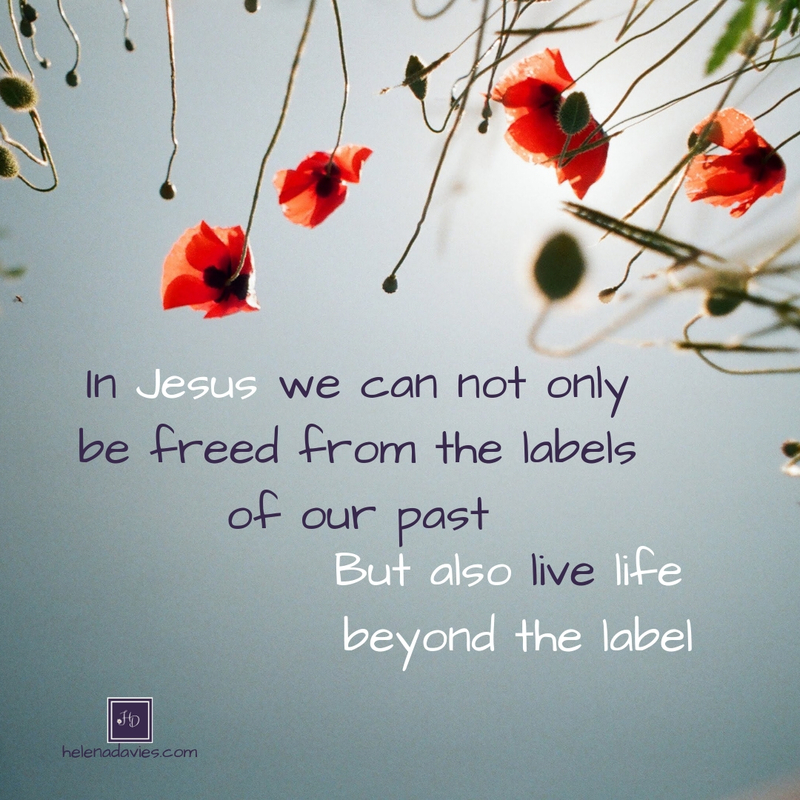 In Jesus we can not only be freed from the labels of our past, but also live life beyond the label. Three women who did not know each other, each with different circumstances, all labeled…until they met Jesus…until they believed who He said they were. The noon sun was hot not exactly a good time to collect water, but what choice did she have? She needed water today just as she did the day before, and the day before that. She felt the sting of isolation as she made her lone walk to the well but heck she was accustomed to it; this was nothing new. The women of the village drew water earlier in the day when it was still cool. It wasn’t however thought cool to be seen with that woman. She was the woman who had five husbands and her latest conquest was not married to her. So she walked alone missing out on fellowship with the other women of the village. She was a labeled woman until….she met Jesus. She left her noonday water jar at the well and ran to tell the people of the village about the Messiah. No longer did she avoid contact but rather ran towards them with the good news of Jesus. Twelve years of bleeding non stop had left her feeling physically weak. Doctor visit after doctor visit yielded no results. She was sick and tired of being sick and tired. Something had to give. She was a labeled woman until…she met Jesus. They brought her to Jesus not because they cared to be enlightened or cared about the woman. It was all about the Law of Moses for them; her punishment was death by stoning. Jesus bent down and started to write on the ground. Scripture doesn’t tell us what he wrote. Some say it was the sin of those who accused her. When we spend time with the Son of God. We are changed forever. Three woman changed forever in the presence of Jesus. That’s what happens when we spend time with the Son of God. We are changed forever. There is life for you and me beyond the labels we acquired over the years. Labels others put on us and the labels we put on ourselves. 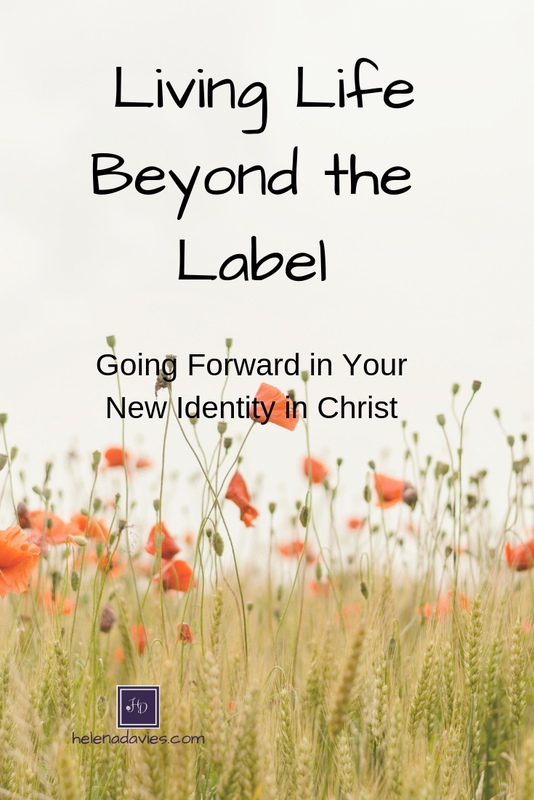 Because of Jesus we no longer have to wear labels that once held us captive.To live life beyond the label we need to know Jesus and renew our minds in His truth. That is exchange our old way of thinking for His way of thinking. Here are six scriptures to help you renew your mind in Christ. “Forgetting the former things; do not dwell on the past. See, I am doing a new thing! Now it springs up; do you not perceive it? I am making a way in the wilderness and streams in the wasteland. Dear sister-in-the-Lord, I pray this brief devotion has been a source of encouragement to you. We can through Jesus leave the old labels behind, and live instead in our new identity in Christ. Just like the three women we talked about, we too are changed in the presence of the Lord. Helena, this is beautiful! Love your imagery that helps me paint a mental vision. Love the correlation between the clothing labels and the emotional labels. How true! You have blessed me today! Thank you for sharing your heart for God! Cindy, so good to know you were blessed. That has made my day. Lovely post and I think the images and text designs are beautiful! Thank you! Thank you Marie, I appreciate your encouragement.